Thank you for stopping by. 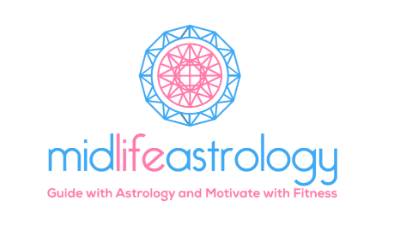 As an astrology lover and fitness fanatic I decided to merge these two topics into one website to help those who are just entering, in the midst or somewhere in between the Midlife Cycle. I am also one in this stage and will be sharing my experiences from these major midlife transits. Now depending on what Country you reside in, the Midlife stage can range from 45-65, 40-60 or even 35-50. With astrological transits relating to Midlife ~ these start at age 38, representing a turning point and changes begin. We will delve into these transits as individual articles to focus on each phase of life. Coming onto the website in the weeks ahead will be the option to purchase reports and take classes. There will also be giveaways, contests, quizzes and surveys to gauge interest and stay on focus to what the readers would like to learn and take away from the site. With the added knowledge of your birth time and location a natal chart can be formed showing what houses the planets sit in. This can help you learn why you are not succeeding with your fitness plan, as well as show you the obstacles that are standing in the way of achieving your fitness goals or starting a regimen. No matter what stage of life you are in pertaining to fitness it is never too late to start. Get moving can mean hiking, swimming, biking, walking, yoga, zumba, golf and tennis. I will share various exercises one can do at home and how to get started and take that first step into a fitness gym.